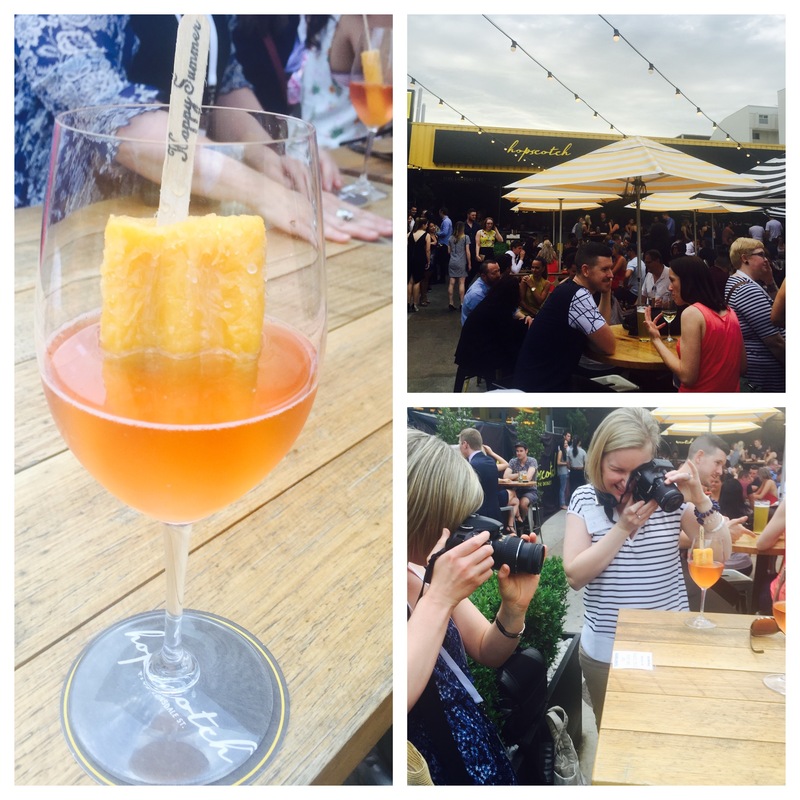 In October Alexcellent Lifestyle attended the 6th annual Eat Drink Blog (EDB15) conference. 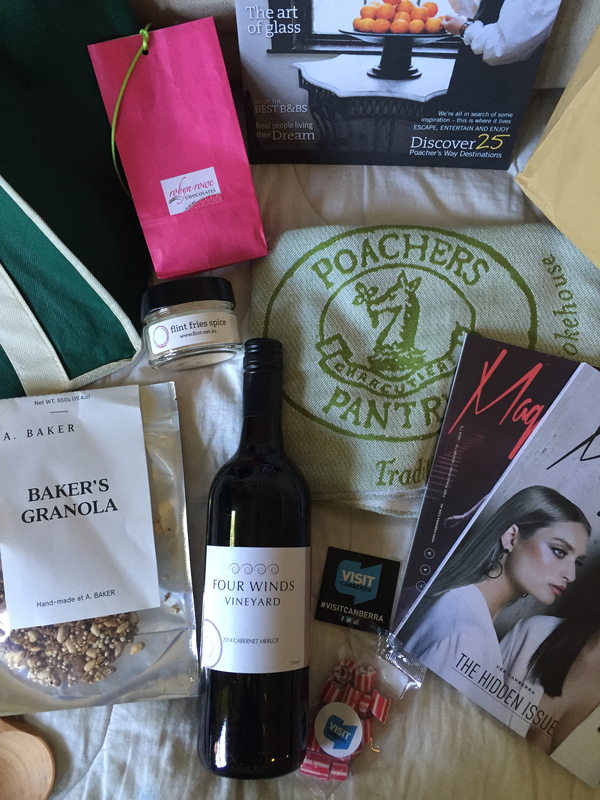 Held in a different Australian city each year, 2015 was Canberra’s turn to host over 80 food bloggers. I wanted to experience for myself all the new paddock-to-plate dining options and hipster havens I’d heard were happening in Canberra. It was a perfect opportunity to visit the city as a blogger, and for my son Spider Boy to spend some time with his Canberra-based dad. So while I was tasting the best of Braddon and NewActon, I knew my son would be enjoying the sights of Smiggle, Impact Comics and JB Hi-Fi. The conference committee put together a comprehensive program of our Capital’s favourite foodie experiences as well as education sessions on aspects of blogging and photography from inspiring experts. It was an excellent way to spend a weekend. 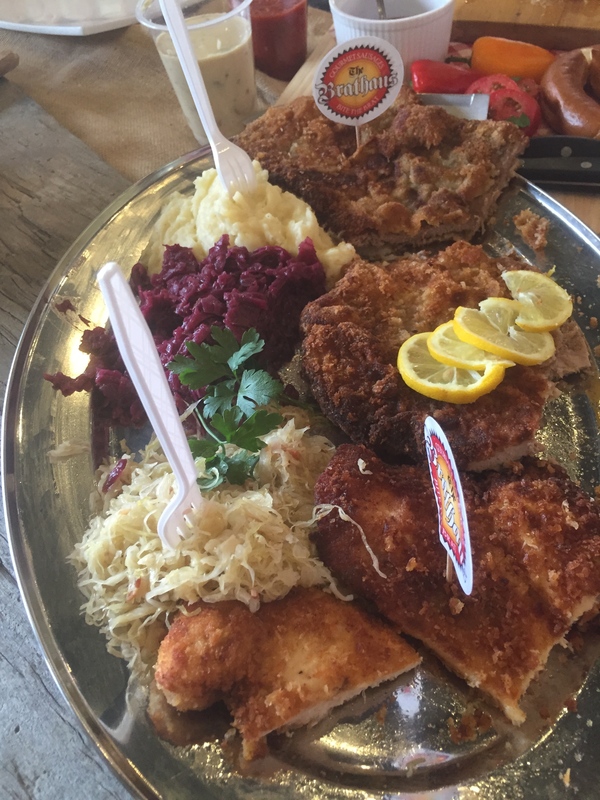 Well call me a canapé, it’s pork, veal and chicken schnitzel from The Brathaus! It was like all my Pie Days had come at once. Pie Yay. There was a big table of beautifully presented foods from The Hamlet’s food trucks. 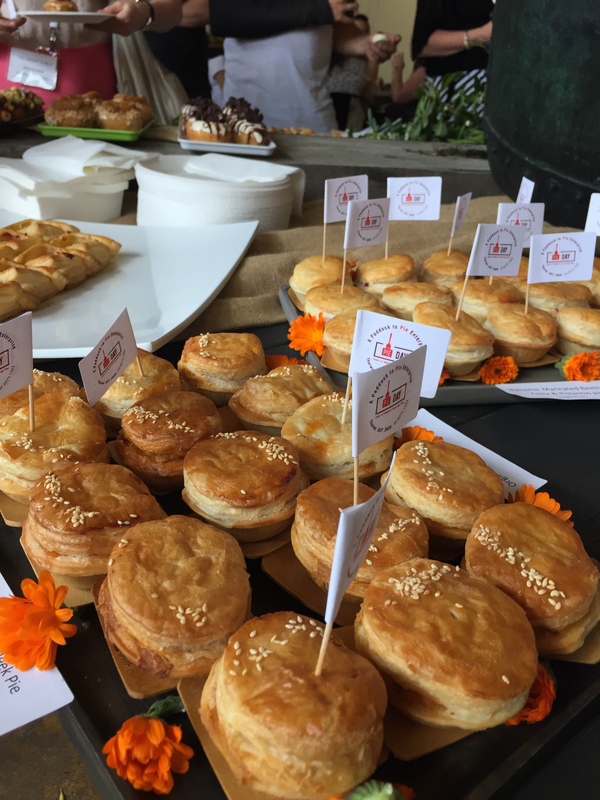 There were gourmet pies, artisan pizzas, huge sandwiches, souvlaki, hotdogs, pulled-pork burgers and did I mention the schnitzel and home-made sausages? Real sausages from The Brathaus made from free-range meat sourced locally. 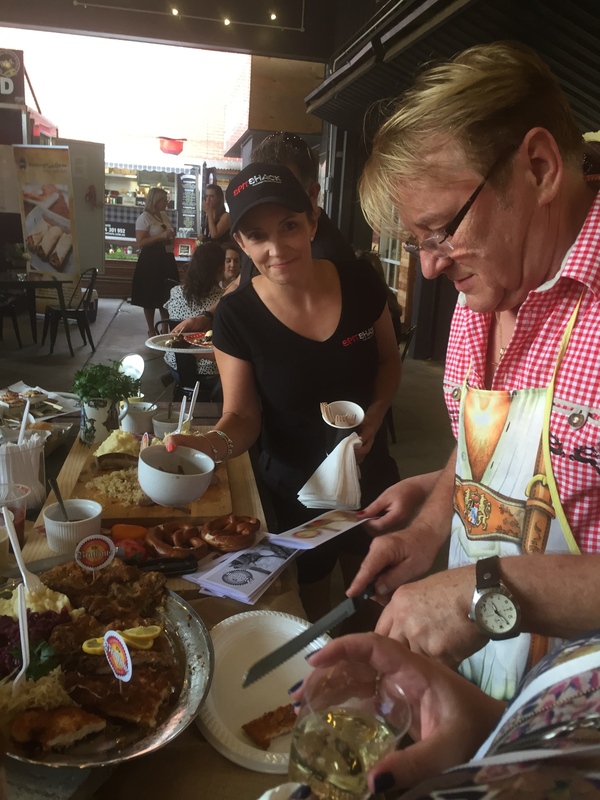 Mr Brathaus was very enthusiastic, so I sampled ALL of the schnitzel. There he is carving it up like a pro. I really wanted to sample everything else on offer but there’s only so much that even I can eat. I did manage to fit in a delicious balsamic marinated beetroot, feta and pistachio pie from Pie Day. And don’t get me started on dessert. I was so busy sampling the savoury treats, I literally ran out of time to have my favourite course. I grabbed a fancy-schmancy donut from Chasing Mr Morris, wrapped it in a napkin and stuffed it in my handbag for later. 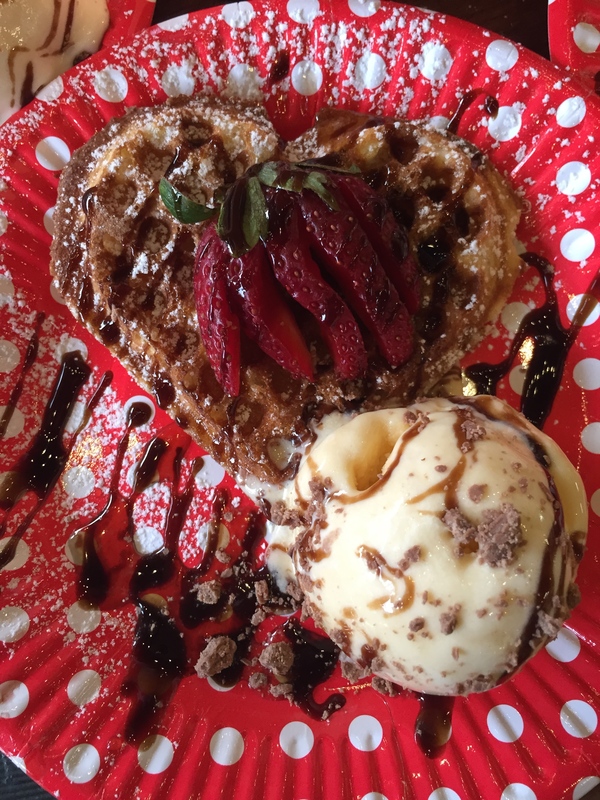 But what to do about this waffle from April’s Caravan? There simply wasn’t the time to eat it, so here’s a photo for my scrapbook. 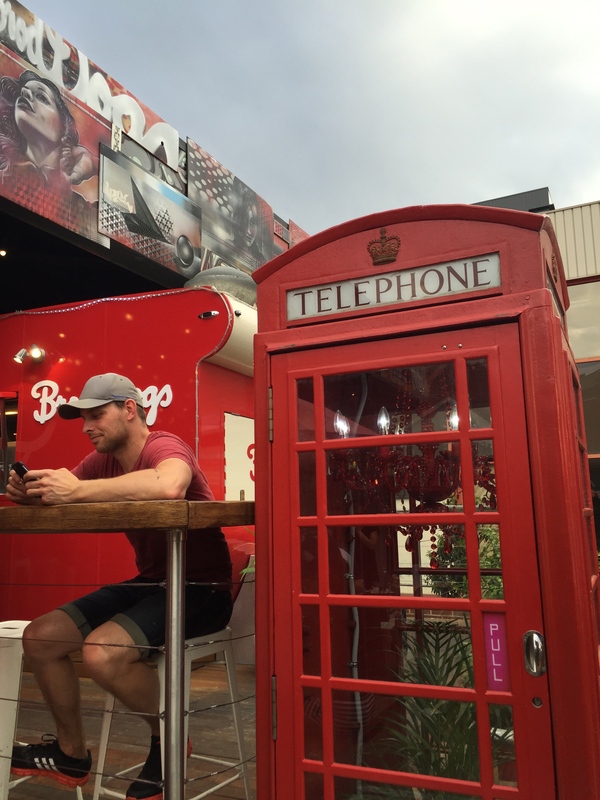 Chandelier-and-plant-in-telephone-box hipster with not-really-hipster-but-hashtagging dude hipster. 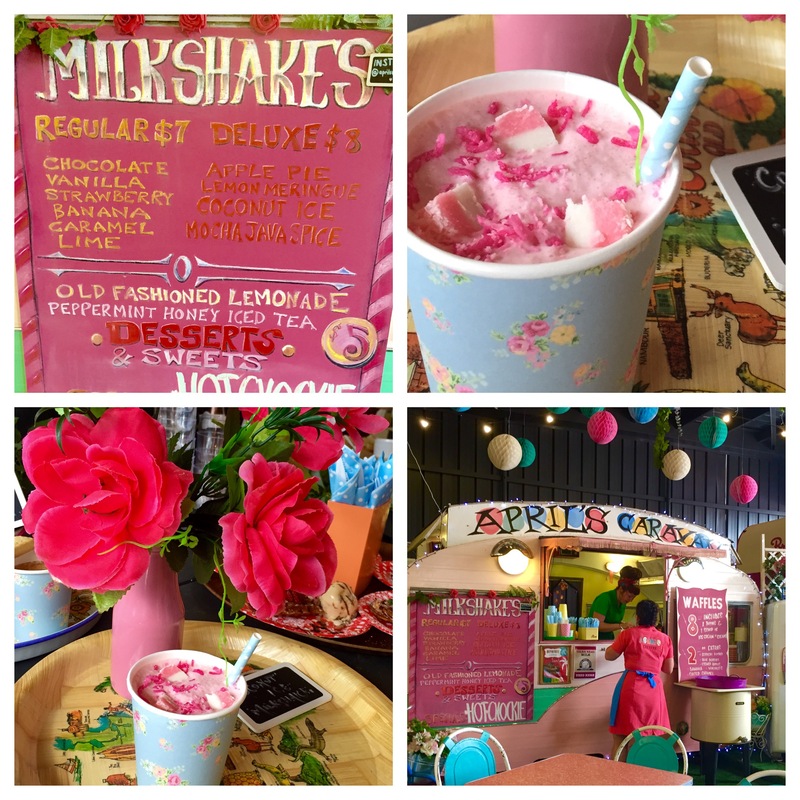 After the champagne, I just couldn’t go the coconut ice milkshake from April’s Caravan… but, I’ll be back to fully enjoy the sugar-filled prettiness. Just as well I’m moving back to Canberra in January. April’s Caravan… Sweet kitsch(en) dreams are made of this. A coconut ice milkshake. Creative and gorgeous. After the awesome canapé dinner, it was time to break off into three separate groups of blogger/food-tourists for a tour of three local food and drink businesses. First stop was Hopscotch, an award-winning gastro-pub with a street-front alfresco area in Braddon. My fellow bloggers understand me: Erin from Dreaming of Almonds and Megann from Megann’s Kitchen at Hopscotch, doing what all good food bloggers do before anything passes their lips. I really got my first taste of summer for the year with this delicious and more-ish poptail. So creative, I’ve never seen anything like it. I should’ve noted down exactly what it was – it might have been some kind of moscato or rosé with a mango-daiquiri popsicle in it. There were non-alcholic versions as well, but I would know even less about those. As well as the great food and company, something I really enjoyed was that for the first time, I felt I was able to photograph my food and drinks with wild abandon. There was no one saying “Oh come on, not another photo, can’t you just eat/drink it already? !” which is what I always hear when I’m eating out with non-bloggers (or at least what I imagine they’re thinking). This weekend I felt I was with my food blogger-soul peeps. Next stop on the tour was whiskey and food matching at Marble & Grain, a European Steakhouse gastro-pub. 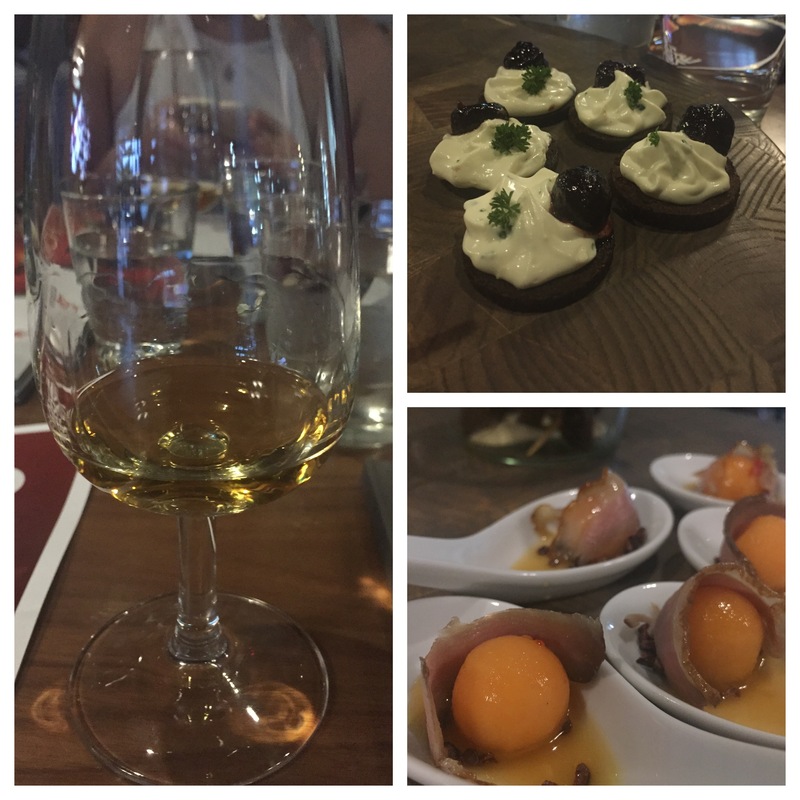 I have never been a whiskey fan, but I still appreciated the opportunity to learn more about it, especially as food was involved. We sampled Glenfiddich 12, 14 and 15, along with matching canapés. Goat’s cheese with fig and rye pumpernickel and hickory smoked duck prosciutto, rock melon and cocoa nibs. After attempting to inhale the bouquet of the first whiskey (Glenfiddich 12), Bec from Inexplicable Wanderlust told me that this was a no-no because it’s too strong on the nose. You’re supposed to dip your finger in the whiskey, rub it on the back of your hand and smell that. Better. Our third and final official stop of the night was at Frugii Dessert Laboratory. John Marshall, a former public servant turned ‘ice-cream alchemist’ produces chocolate gelato right from the cocoa bean. All products at Frugii are made from scratch using freshly made extracts, nut pastes and oils. They also make chocolates and chilled cakes. 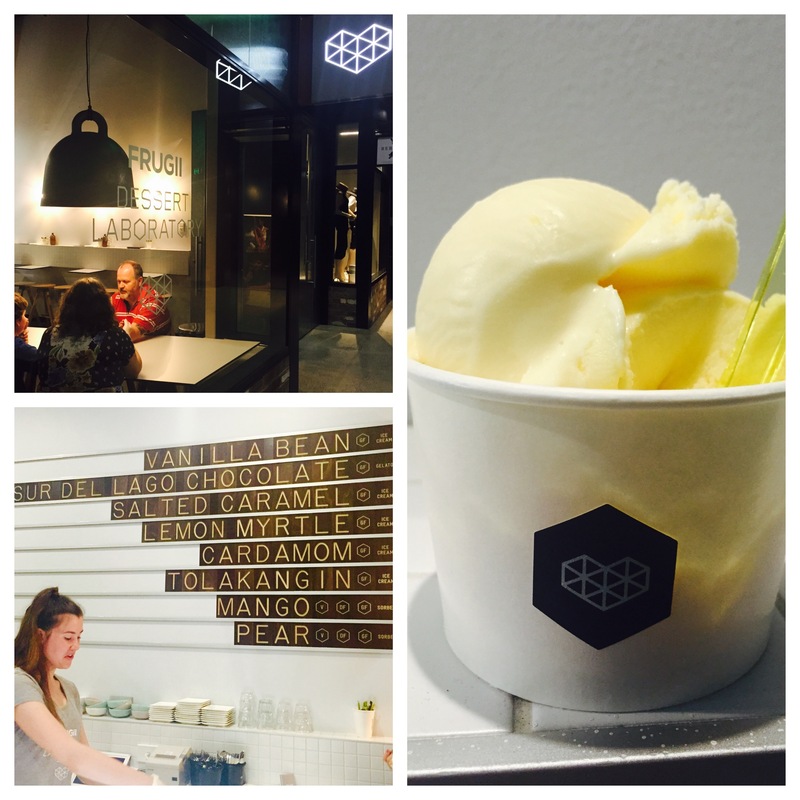 Frugii Dessert Laboratory in Braddon where I sampled this lemon myrtle ice-cream. John gave us a short education session on chocolate ‘bean to bar’ and we all got a generous sample of the ice-cream of our choice. Knowing I already had a hipster chocolate crackle-donut hybrid in my handbag, I chose the lemon myrtle, because I’m all about the balance, you know? (the lemon myrtle was every bit as good as I thought it would be). The next morning, conference delegates were picked up by a dedicated ACTION bus and taken to the Capital Region Farmers Market in the north of Canberra. Here they experienced a local producers breakfast and a cooking demonstration by young chefs from the Canberra Institute of Technology (CIT). Unfortunately I wasn’t able to make it to that part of the morning and I believe I missed out on a fabulous croquembouche demonstration, among many other things. I did manage to make it to the keynote address from former chef/food critic and now SBS TV presenter/farmer Matthew Evans at the beautiful Nishi Gallery at NewActon. 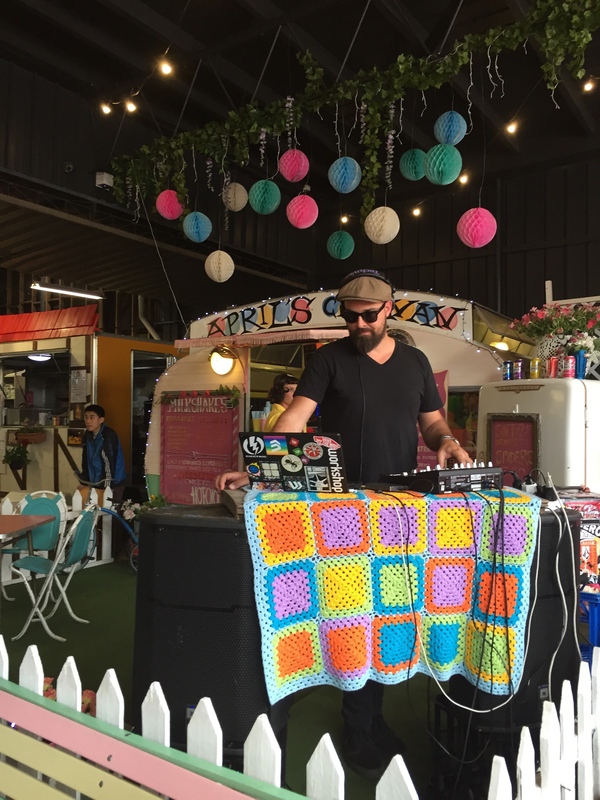 After Matthew’s entertaining session, we took a scenic lakeside walk to Westside Acton Park, a new pop-up food and entertainment venue made entirely of shipping containers. Spoilt for choice at Westside Acton Park; Friendly bartender at Aviary Bar, Westside; Sparkling white from Capital Wines was lovely with my Thai pulled-beef taco. We were able to choose from an interesting and varied selection of lunch choices. I chose the Thai pulled-beef soft tacos. I ordered two thinking they’d be small but they were quite substantial. I couldn’t even finish my second one what with being so busy meeting and chatting to other bloggers at Westside’s upstairs Aviary Bar, where we were also given a glass of wine from Capital Wines. After lunch we went back to the Nishi Gallery where we learnt about the ups and downs of restaurant reviewing from writer and communications consultant Wendy Johnson, the secrets of Search Engine Optimisation from marketing expert Todd Wright of Threesides Marketing, food styling with photographer and stylist Tess Godkin and smart phone photography and videography from Alice Lau of the Girl in a Food Frenzy blog and You Tube channel. The Nishi Gallery was the ideal conference space. Todd Wright and Wendy Johnson deliver their engaging presentations. Photographer Tess Godkin reveals her secrets to food styling. 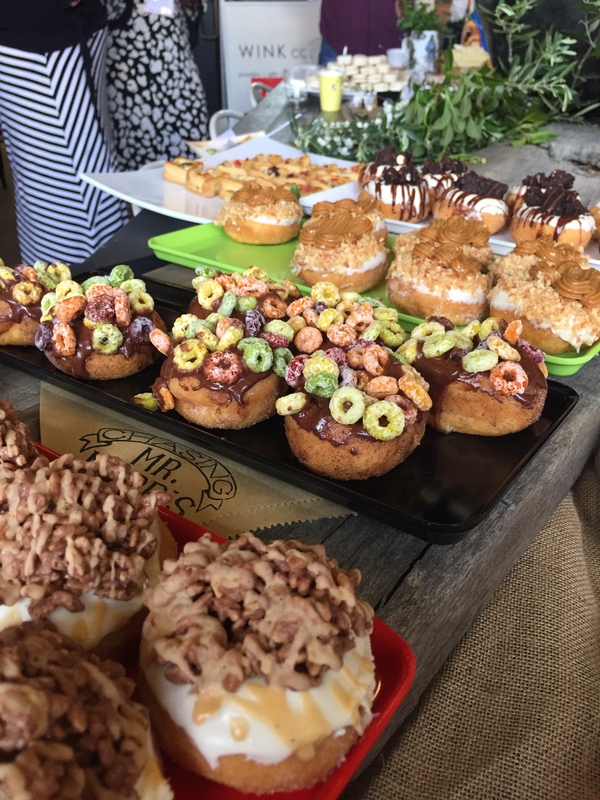 These sessions were punctuated by an afternoon tea which showcased some of the Canberra region’s finest food and wine producers. I sampled some fresh cows milk curd made by The Cheese Project. Established by Maureen House in 2014, it’s the only commercial cheese-making business in the Canberra area. I tried more than one of these little delights below. The milk curd on these was blended with orange zest (and a bit of sugar) and paired with the biscuity-base (made by Maureen’s husband), it was a match made in heaven. 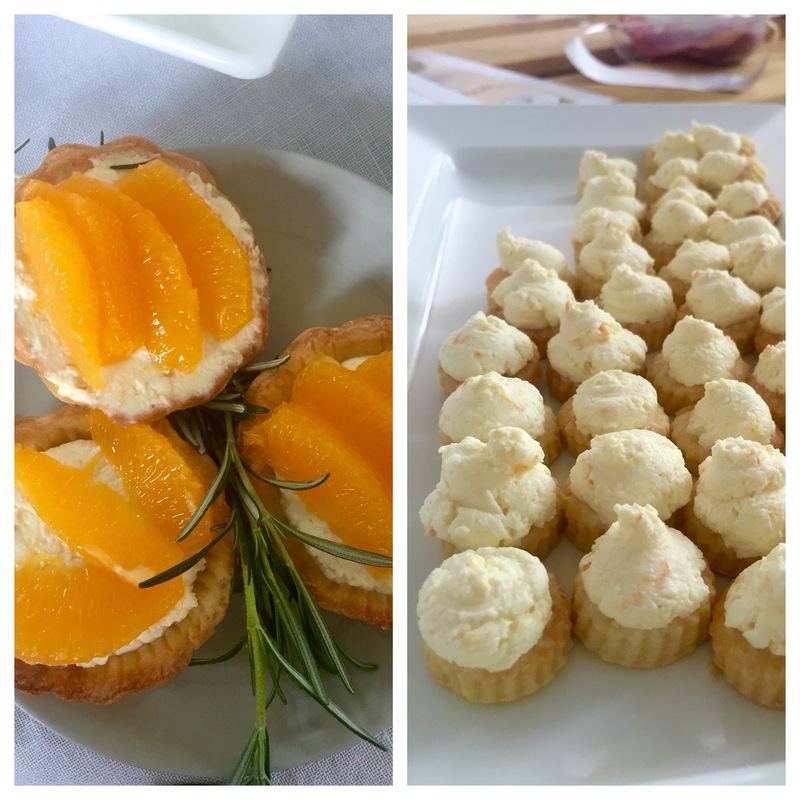 Pretty pieces of orange on fresh cows milk curd tarts and the perfect bite-size treats for afternoon tea from The Cheese Project. The conference dinner on Saturday night was held at A.Baker in the NewActon Precinct. As well as its daily baked artisan breads, A.Baker is known for sourcing local and seasonal produce for its dynamic menu. 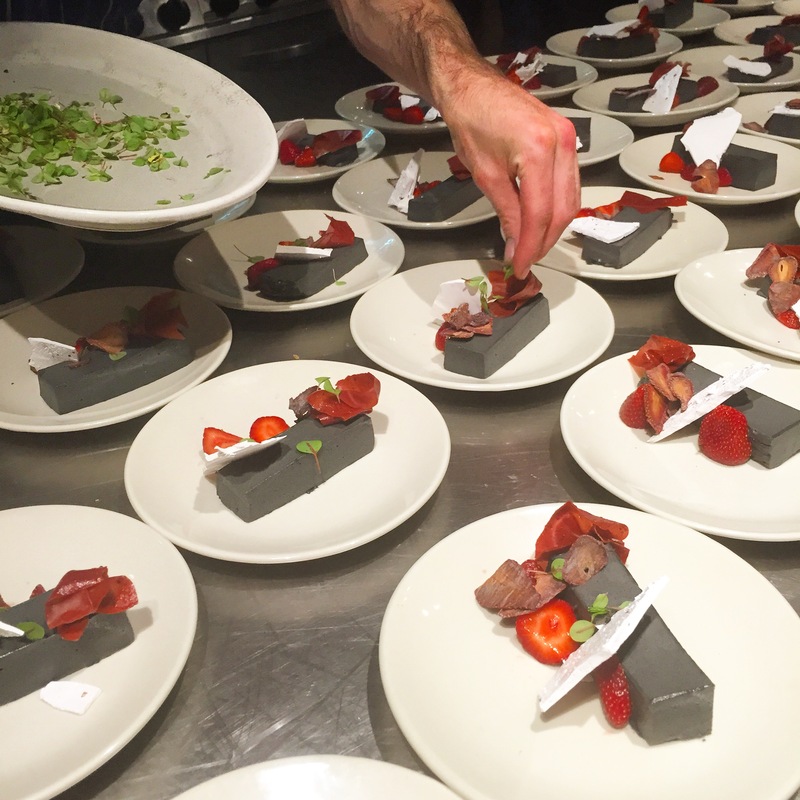 Bloggers were treated to a five- course meal comprising shared plates. I loved this idea as it meant my table-mates and I were all focused on the same dish and we could serve ourselves the portion-size we wanted. 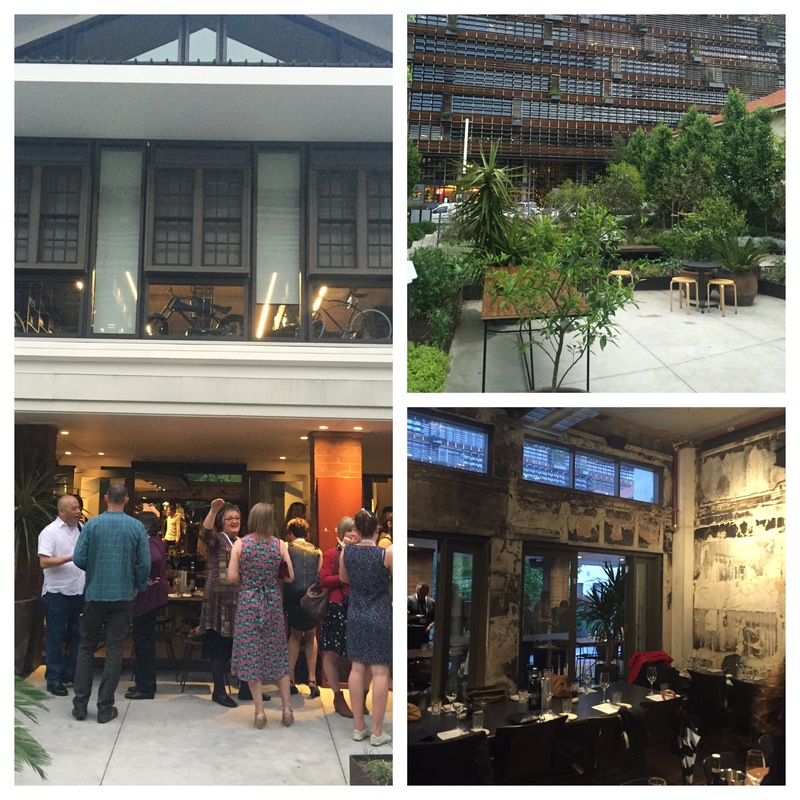 Pre-dinner drinks in the courtyard of A.Baker; the view of the terrace and the Nishi building; A.Baker’s interior. After canapés and sparking wine from Mt Majura, ACT on the terrace, we sat down at long tables where the shared plates were delivered. 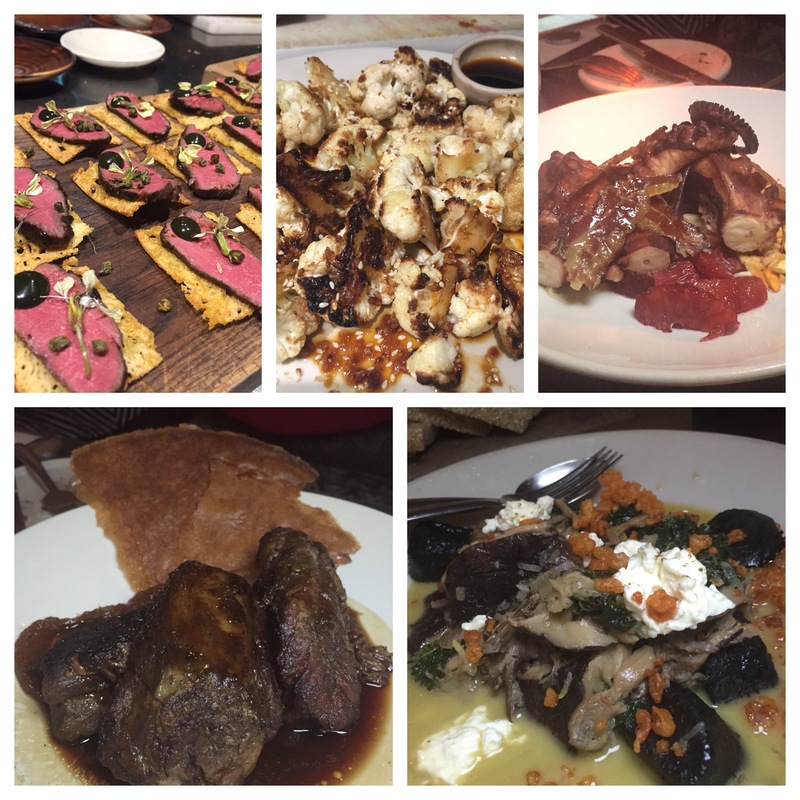 Clockwise from top left: venison canapés; charred cauliflower with sesame and ponzu; braised octopus, skordalia, baked pancetta, blood orange and almond; baked local mushrooms, dutch cream gnocchi, kale and local primo sale; charred lamb neck, harrissa, bean, raddish and sumac salad. The dessert of black sesame bavarois, strawberries, pink peppercorn meringue and sorrel looked and tasted beautiful and was the perfect way to finish dinner. During the evening the conference writing and photography competition winners were announced. I was honoured when writer and competition judge Liz Posmyk from Bizzy Lizzy’s Good Things called my name as the recipient of a consolation prize in the narrative category for my recent blog post Is it time to give up my sugar crush? 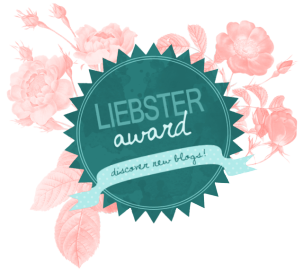 The other winners and links to their winning blog posts are on the Eat Drink Blog 2015 Competition Winners page. 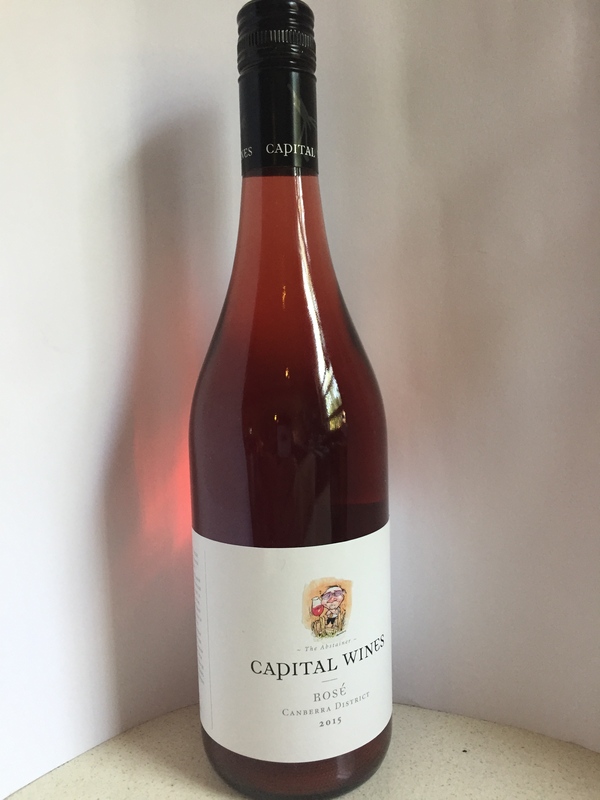 So thank you judges Liz and Wendy Johnson, and thanks to Capital Wines for my lovely rosé! Thank goodness for goodie bags. The Eat Drink Blog 2015 program lists the Sunday activities, or you can read about the conference from some of the other delegates’ perspectives. 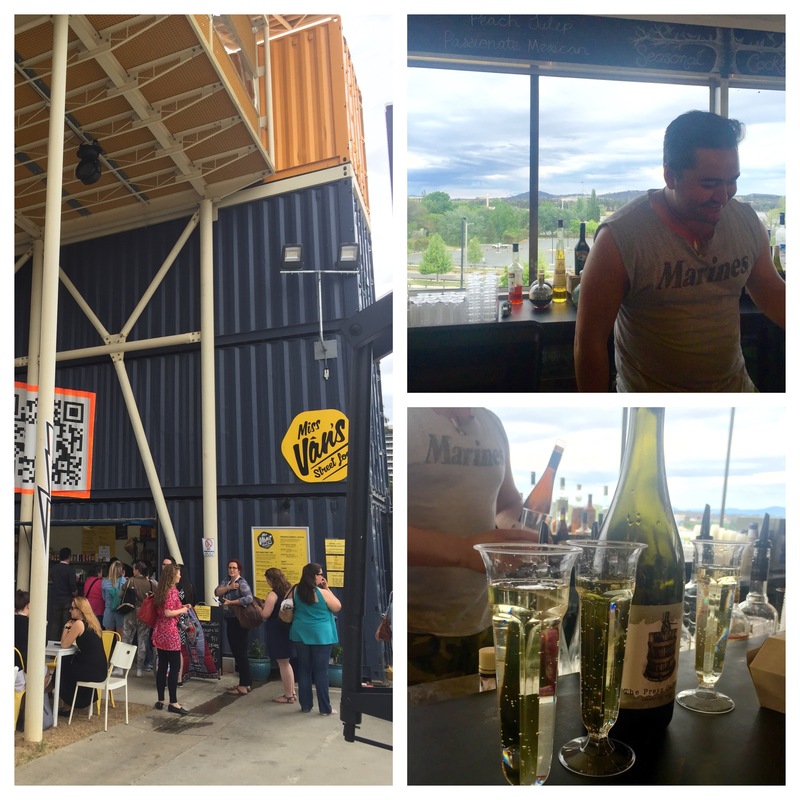 This was my first Eat Drink Blog conference (well, half-conference for me) and I’m determined it won’t be my last. 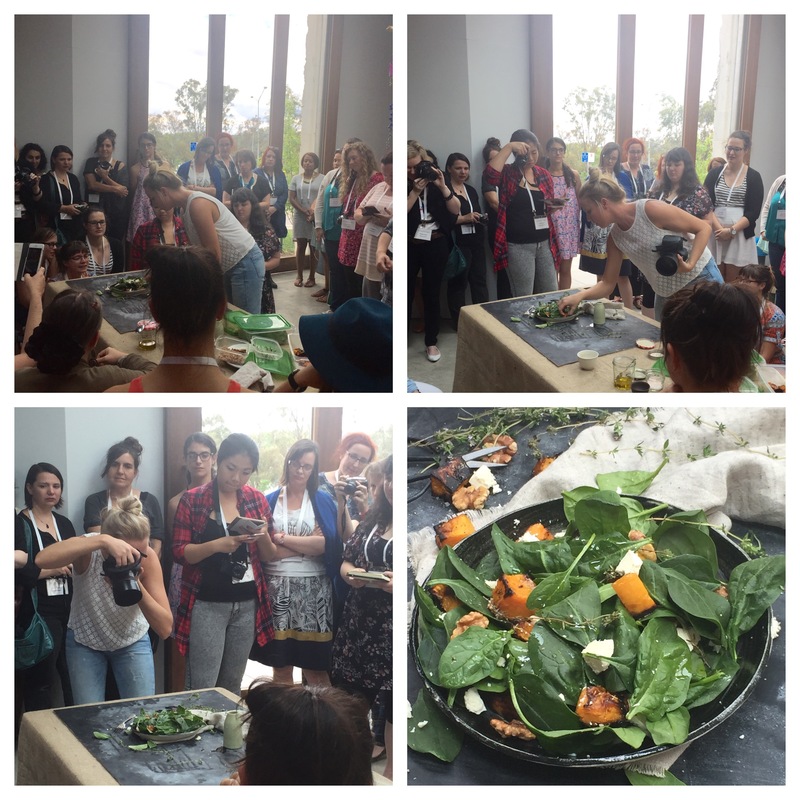 It was real value for money – all meals and drinks between Friday dinner and Sunday lunch (as well as all the blogging wisdom) was included in the very reasonable $150 conference fee. 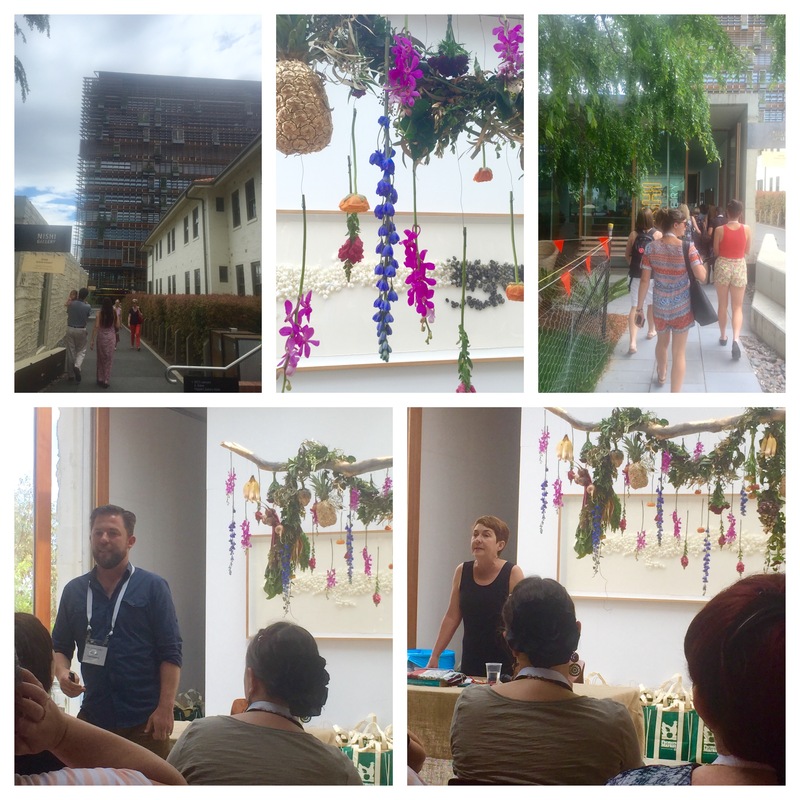 I was inspired by the passion, enthusiasm and extreme organisational skills shown by the conference organisers who volunteered their time to make EDB15 happen; Amanda of Her Canberra, Tara of In The Taratory, Belinda of The Forage, Giulia of Love at Every Bite, and Rachi of Le Bon Vivant. The team pulled together a truly entertaining and informative weekend. Well done committee and thank you! I am looking forward to next year. And there might be a new little food blogger rising up the ranks: Spider Boy said to me on Day 1 of the conference: “I want a food blog! I love food – it keeps you alive and it tastes good!” Ain’t that the truth. As well as the work of the organising committee, the EDB15 success was also due to the generosity and hospitality of the sponsors. Silver Sponsors: Frugii, QT Canberra, Bentspoke Brewing Co., Hopscotch, Marble & Grain, The Hamlet, Six8 Coffee Roasters, Westside Acton Park, Capital Region Farmers Market, NewActon, the Boat House by the lake, The Canberra Wine House, The Cupping Room, Two Before Ten, Yum Digital Magazine, Poacher’s Way, The Fix juices, and The Muesli Bar. The EDB15 conference delegates have been busy posting their content. 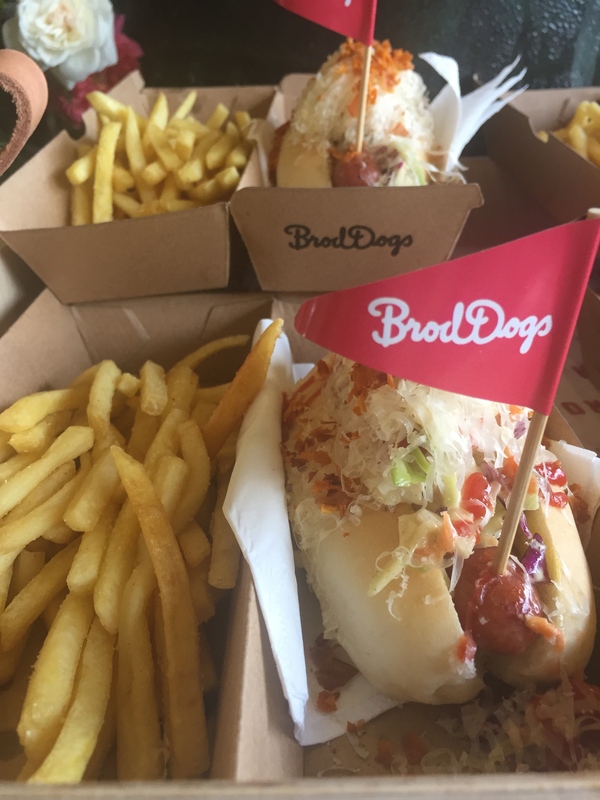 Please visit the Eat Drink Blog Testimonials page for links to their posts for some fantastic photos and words about EDB15 that I wasn’t able to capture. ← 7 Halloween cupcake recipes… an Alexcellent roundup. Lovely post, wish every weekend was like that huh? Thanks so much Anna! It was an amazing weekend. Looking forward to next year.